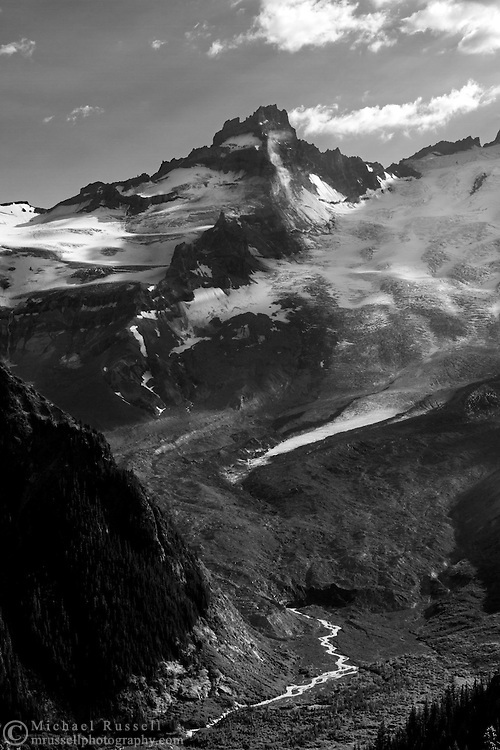 Little Tahoma Peak (3395 m / 11138 ft) and the Emmons Glacier on the north east flank of Mount Rainier. Melt water from the terminus of the Emmons Glacier forms the White River at the top of the White River Valley. Photographed from the Sunrise Rim Trail in the Sunrise area of Mount Rainier National Park, Washington State, USA.